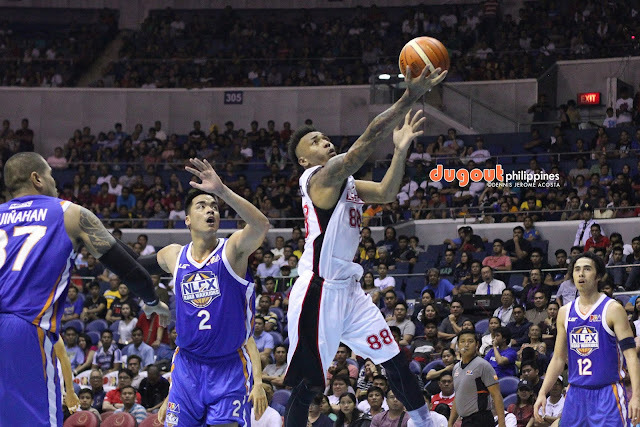 MANILA--Calvin Abueva is an Alaska Ace no more. Alaska shipped its erstwhile superstar to Phoenix in a trade that was approved by the PBA on Tuesday. The Fuel Masters gave Karl Dehesa and a 2019 first round pick to the Aces in the process. "We felt as a franchise it was best for both Alaska and Calvin to have a fresh start at this time," Alaska's team management reasoned about the swap in a statement. Since becoming the second pick of the 2012 PBA Draft, Abueva quickly became one of the Aces' focal points due to his impressive all-around game. However, he has also become a "prodigal son" for the franchise, especially recently when went AWOL in practices, prompting the team management to impose an indefinite suspension on him. He was actually seen working out with the rest of the Aces at the gym recently, hinting that the ban may have been lifted already. However, the trade quashed hopes of the Alaska fans to see him donning the team's red-and-white kits again. On the other hand, Dehesa, who only played limited minutes under Coach Louie Alas at Phoenix, has found himself rejoining the team that drafted him in the third round of the 2012 draft.